1) Get to know bankers at several financial institutions in your community. Prior to requesting a loan, find out which financial institutions in your market make loans to firms similar to yours (due to the fact that not all banks specialize in business loans). Banks may make loans based on industry, while others may only lend to those in certain stages of the business life cycle (no startups, for example). It is important to work with bankers who understand your industry and find out how the current financial crisis has affected credit availability in your community. Another reason to deal with banks experienced in your industry is that they can offer you financial advice. If these bankers work with firms facing the same industry-related problems as you, they may be able to provide helpful advice and financial products tailored to your firm’s needs. Seek a banker who can give financial advice that will help you survive and thrive in today’s economy. 2) Be able to articulate your firm’s “value proposition” to its target markets and your business plan to reach them. To increase your chances of getting a loan, articulate why other companies or customers should do business with you and how you’ll effectively compete in your chosen target market segments. To help ‘sell’ your company, develop a business plan that has three different scenarios: best case, most likely case, and worst case. You want the banker to understand all three since you’re asking for support through good times and bad. We are excited to share the news from our friends over at TAVIK – you can now find TAVIK’s PENTRY and GRIP TAPE iPhone 5 cases exclusively in Apple Stores nationwide and in Canada! The PENTRY case is an ode to the modern machine of creation. Constructed with individuality in mind, the PENTRY case comes with 26 interchangeable silicone keys of the alphabet, allowing for complete customization for your case. Designed with a hard grip tape feel, the GRIP TAPE case provides stylish protection and is inspired by the action sport, street lifestyle. In addition to the exclusive cases now available at Apple, TAVIK is also preparing an extensive accessory collection across iPhone 5, iPhone 4/4S, iPad, iPad mini, audio and bags for select retailers. Launching globally in April 2013, this new accessory line will feature premium materials and the same strong design aesthetic found in current TAVIK apparel. To view the full Release, visit shop-eat-surf.com. “If you obey all the rules, you miss all of the fun”, said Katharine Hepburn, a mantra by which this Hollywood star lived and built her legacy. 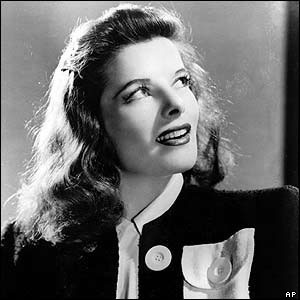 Katharine Hepburn changed the perception of women by famously rejecting the typical Hollywood image. Instead of being tailored, reserved and lady-like, she was outspoken, athletic and wore trousers before it was fashionable for women to do so. Hepburn lived an unconventional lifestyle – married once, but thereafter lived independently, hiding a 26-year affair with her co-star. Hepburn came to epitomize the “modern woman” in 20th-century America and in 1999, was named by the American Film Institute as the Top Female Hollywood Legend. Sheryl Sandberg does it all: she is a successful wife, mother, motivator and businesswoman. A crusader for female empowerment in the workplace, Sandberg has served as Vice President of Global Online Sales and Operations at Google and is currently the Chief Operating Officer of Facebook. Proving that she really can do it all, Sandberg is now an author and has just released her new controversial book, Lean In: Women, Work and the Will to Lead. With quotes like “Men still run the world” and “I’m not suggesting women aren’t ambitious…but when it comes to ambition to lead, to be the leader of whatever you are doing, men/boys outnumber girls/women”, Sandberg’s book has received a lot of criticism from women. From our perspective, we admire her for speaking out, leading the way and challenging other women to do the same! In celebration of International Women’s Day on March 8th, LVM attended OC Metro’s Women to Watch Awards 2013, held at the Center Club in Costa Mesa. At the event we became aware of Gigi Ibrahim, a Journalist and Political Activist living in Cairo during the 2011 Egyptian revolution and one of the 20 recipients of the Women to Watch Award. The former Anaheim resident became internationally known due to her social media coverage from Tahrir Square during the protests. In 2011, PBS aired a documentary about her experiences and views of other upper-middle-class Egyptians, called “Gigi’s Revolution”. Since then, she has remained actively involved in the unfolding events in Egypt by writing articles for magazines, updating her blog and producing videos about the revolution. Inspired by this fearless revolutionary and OC-native, we applaud Gigi for her free-spirit, dedication, and courageous pursuit of social equality. 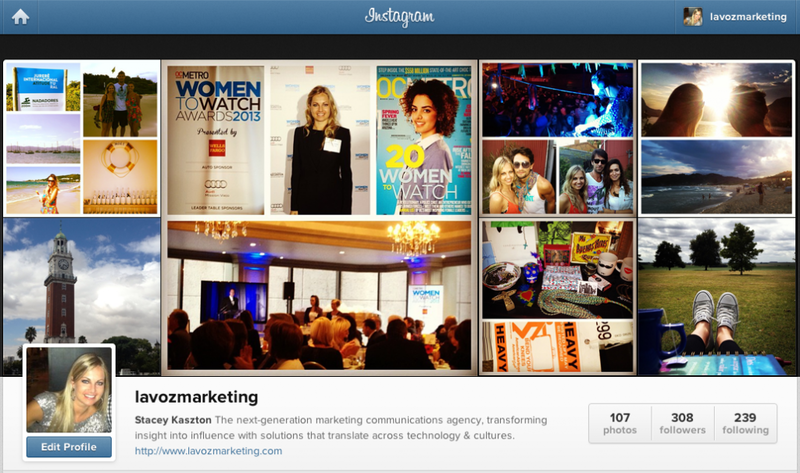 Hispanicize 2013 is less than a month away and we cannot wait! For those who are unfamiliar with this conference, Hispanicize is the iconic annual event for Latino trendsetters and newsmakers in social media, journalism, marketing, film, music and innovation. Taking place in Miami this year, Hispanicize is a gateway for new products, campaigns, films, technologies and more, specifically targeted toward Latinos. We look forward to catching up with our fellow bloggers and colleagues and are anxious to check out some of the new film screenings and music shows that have been incorporated into the 2013 event. With 100+ sessions and 260 speakers, we look forward to immersing ourselves in the experience and sharing our key learnings and insights with you! Stay tuned for more. 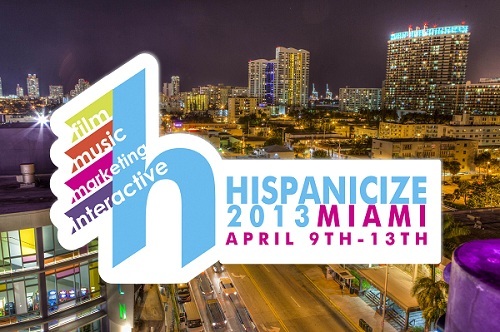 The final schedule of Hispanicize 2013 will be unveiled this Thursday, March 21. To view the schedule to date, visit hispanicizeevent.com. To help solve problems that adversely affect the community in which we live, work and serve, by supporting local non-profit organizations and their initiatives. Focus on four main causes that are meaningful to the Bank’s employees, shareholders, clients and community – Youth, Arthritis, Poverty & Hunger. Once the vision and objectives were crystalized, LVM worked in tandem with the regional non-profits to create volunteer programs for the Bank employees. At the end of 2012, LVM submitted the Bank for relevant community awards. One of these award opportunities was offered by the American Bankers Association (ABA). 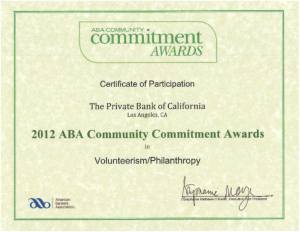 The ABA Community Commitment Award is an annual program put together by the American Bankers Association to recognize and celebrate the high impact contributions that banks of all sizes have on the communities they serve. The Bank was awarded a Certificate of Participation in Volunteerism and Philanthropy, which acknowledged the wonderful work and time that they donated throughout the year to these causes and to their community. To find out how LVM can help you with your Philanthropic initiatives, connect with us here: lavozmarketing.com/connect.